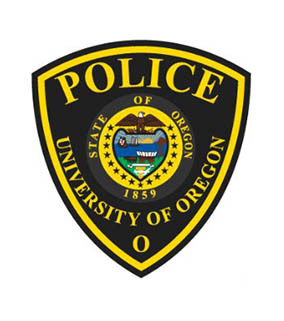 The University of Oregon will soon have a new process for reviewing complaints that might arise about university police. The Complaint Resolution Committee has been established as an advisory group to Jamie Moffitt, vice president for finance and administration, to evaluate complaints about police policy or serious conduct issues. "We asked for, and received, informed input and guidance from university stakeholders and community partners, looking at what works well other places and what will be effective on this campus," Moffitt said. A group of university students and leaders, advised by Eugene police auditor Mark Gissiner, developed the framework for the complaint resolution procedure. The process has also been reviewed by the UO Police Department Advisory Group, comprised of student, faculty, classified staff and administration representatives. “I appreciate the involvement of so many individuals in developing this procedure to align with campus values and contribute to our campus safety,” interim UO President Scott Coltrane said. Moffitt and Coltrane will appoint the Complaint Resolution Committee, which includes students, faculty, other university employees, a former law enforcement professional and ex-officio members from the UOPD and dean of student’s office, this fall. "We're very eager for this to be in place," UOPD Chief Carolyn McDermed said. "Trust is critical to partnering with a community on public safety challenges. This is an important part of building that trust. We want to demonstrate that our department serves and works with our campus community and is responsive to it." Since becoming a state-recognized police agency in January 2012, the UO police department has used its internal complaint process, which includes appeal or review options outside the department. That process has been used once or twice a year on average. Until the new committee is appointed and operational, the department will continue to use the existing procedure. Under the new procedure, complaints can be submitted online at the UOPD website or submitted in writing to UOPD, 6220 University of Oregon, Eugene, OR 97403. People can also submit complaints through the Office of the Vice President for Finance and Administration, which oversees the police department; the Office of the Dean of Students; or the human resources department. Complaints that allege serious misconduct by a police officer or complaints that a department policy is unlawful will be forwarded to the vice president for finance and administration and the chair of the Complaint Resolution Committee. The complaint will be investigated by the department's professional standards officer, and the result is provided to the Complaint Resolution Committee for review. The job of the committee is to determine whether the police department followed university rules in its investigation. It does not have the authority to conduct investigations on its own. Although the committee’s meetings may be open, it is not subject to the state Open Meetings Law because it makes only recommendations, not final decisions. And while it can take public testimony, only written comments are allowed. When appropriate, the original investigation may be done by an outside agency, and the committee can verify that UOPD took proper steps to enable a fair and thorough inquiry.